VENEZUELAN PIANISTS AND COMPOSERS PRISCA AND MARIEVA DÁVILA WILL BE GIVING A CONCERT TOGETHER IN OTTAWA. 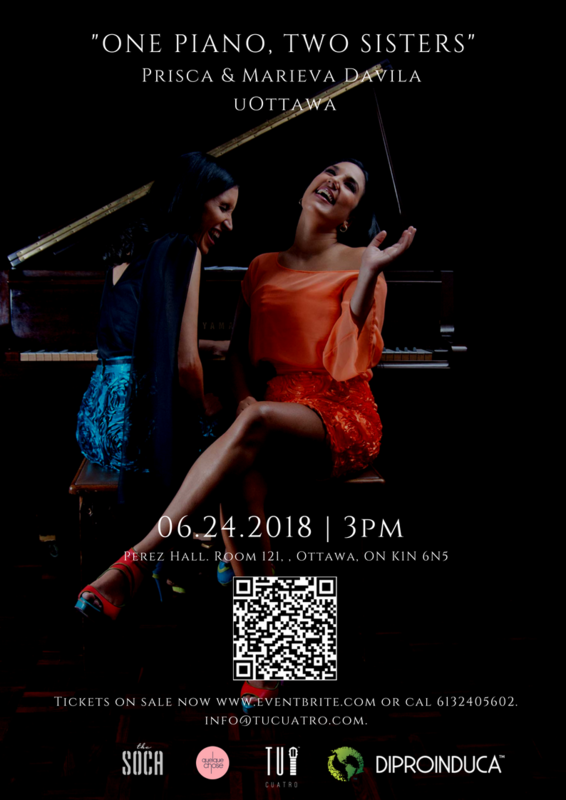 “One Piano, Two Sisters”, by outstanding Venezuelan artists PRISCA and MARIEVA Dávila, will be hosted at “Ottawa Perez Hall” Room 121 on Sunday, June 24th at 3 pm. Sisters Prisca and Marieva Dávila will join their piano, singing and dancing talents in stage to create a magical fusion of Venezuelan, Latin American, classical, jazz and flamenco music styles. The artists, who have solid academic backgrounds and international careers, will perform their best compositions from their individual outings and compositions from their two joined recordings entitled “Un piano, dos hermanas” and “Travesia-Canciones de Latino America” released in 2014 and 2017 respectively. Local and international audiences as well as the specialized media have praised their works. These brilliant musicians have created a musical language where compositions and arrangements are combining the nuances and dynamics of classical music, the melodies and rhythms of the traditional styles with the improvisations and harmonies of contemporary jazz. As solo artists, Marieva released “Piano de ida y vuelta” in 2010 while Prisca has released five albums to date. These are ”Piano Jazz Venezolano II” (2011), “Piano en canto venezolano II” (2009), “Piano En Canto Venezolano” (2007), “Estoy Aquí” (2005) y “Piano jazz Venezolano” (2003). The pianists will be performing Venezuelan and Latin American music as well as their own compositions in various formats: Solo piano, piano and vocals, and piano four hands with the virtuosity and peculiar style that characterize each sister. In addition to that, Marieva will exhibit her talent as ‘bailaora’ in compositions that blend Venezuelan rhythms and jazz with flamenco. The concert will feature their father, Eduardo Dávila, as special guest on soprano saxophone and flute. “One Piano, Two Sister” has been performed at various venues in The United States, Venezuelan, Mexico, Trinidad, Great Britain, and Czech Republic bringing enthusiasm and joy to the public. The audience in Ottawa will have the opportunity to enjoy this astonishing duet On Sunday June 24th at 3 pm. 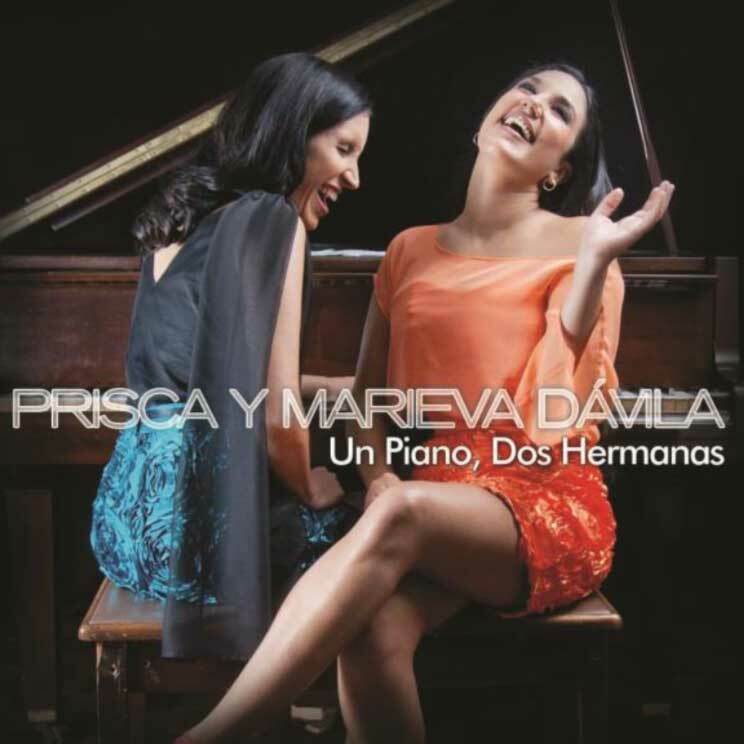 The sisters Dávila, Prisca, pianist, singer and composer and Marieva, pianist, composer, singer and bailaora, fuse the charm of classical music, the harmonization and improvisation of jazz and the enchantment of flamenco with Venezuelan music.